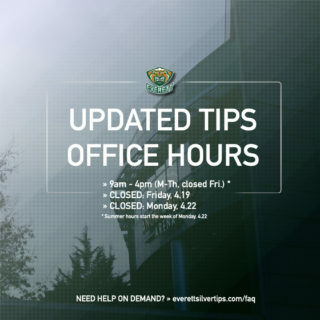 Only meeting of the regular season and the 15th lifetime … the Tips are 6-6-0-2 against Regina in the all-time series … Regina has outscored the Silvertips, 44-41 in the series … the Silvertips are 6-2-0-1 in the last nine games … they were defeated by the Seattle Thunderbirds, 2-0 last night in Kent … Regina was defeated by Portland, 3-1 last night … the Pats enter this season as defending Eastern Conference champions and will host the Memorial Cup tourney in May … the last Tips win at home vs. Regina was Oct. 10, 2003 (2-1 win). 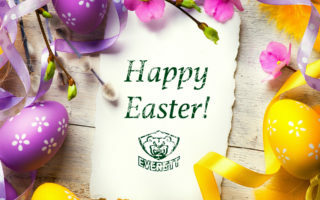 LAST GAME (SEA 2 – EVT 0 / 11-18-17): Matt Berlin made 27 saves and Nolan Volcan was the pure supplier of Seattle’s offense with a pair of goals, as the Everett Silvertips fell to the Seattle Thunderbirds, 2-0 before 5,018 fans at ShoWare Center on Saturday in WHL action. The Tips, splitting the home-and-home series with Seattle, had Dustin Wolf produce 27 saves in his first appearance since Oct. 29. Volcan scored both goals, including an empty netter, in the third period. RIGHT ON, RICHIE! 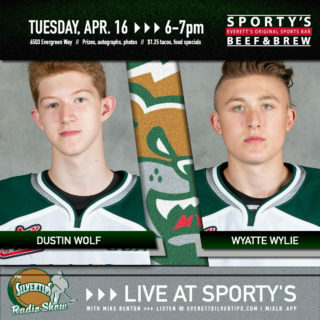 : Silvertips forward Sean Richards has six goals in his last six games and 12 points in the last 11 games … the ’98 born forward scored an empty netter in last night’s 3-2 win vs. Seattle. DEWAR OF GOOD DEEDS: Connor Dewar (development camp, Toronto Maple Leafs and draft eligible) entered today tied for third in the WHL in shots (103) and leads the Tips in power play goals (6). HART OF THE MATTER: Reigning back-to-back WHL Goaltender of the Year Carter Hart tied the Tips all-time shutout record (21) with 25 saves Wednesday in a 2-0 win vs. 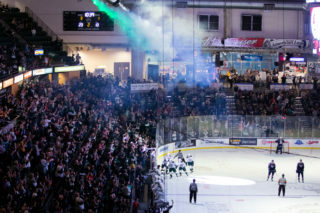 Prince Albert … his 90 career wins are 2nd all-time in Silvertips history. SUNDAY AFFAIRS: Today’s game is the third the Tips will play at home on a Sunday afternoon … they will play in nine total at XFINITY Arena this season … they are 1-1 on Sunday games at home. BIG BANG BAJKOV: Patrick Bajkov, returning from training camp with the Vegas Golden Knights, leads the Tips with 30 points in 23 games (T-12, WHL) … he scored the Tips first shorthanded goal of the season on Friday vs. Seattle. 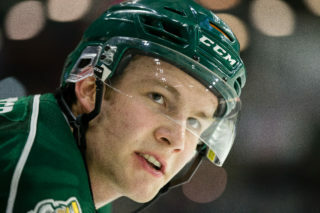 11-19-10 (EVT 4 – KAM 2): Kellan Tochkin collected the 30th hat trick in Silvertips history and the Tips scored twice in the third period to defeat Kamloops, 4-2 at XFINITY Arena … Tochkin broke the tie just 36 seconds into the third period and finished the hat trick effort with 3:22 left in regulation … goaltender Luke Siemens earned the win in net with 24 saves.